For fun, fitness and competition! The pool sits in a fully fenced field which also provides off leash running for your dogs. We also have shade areas for relaxing. Take a look around and book your pool time today. 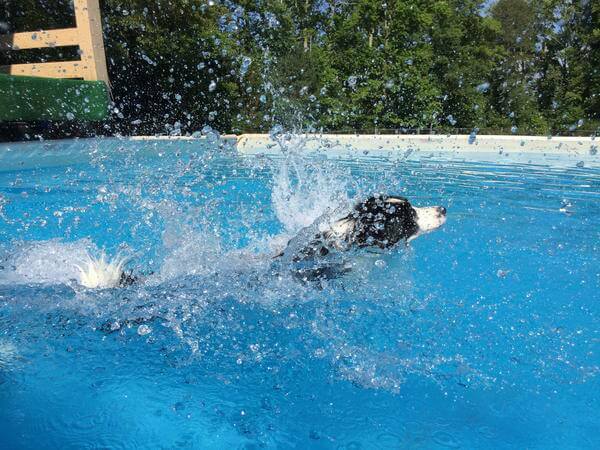 If you are interested in Booking some time at the pool, Please go to our Facebook page, https://www.facebook.com/thedogsplace go the button that says Book Now.